Dan J Barringer 63 of Streetsboro died Friday, March 15, 2019. He was born September 17, 1955. Survivors include his father Wayne Barringer, children Lindsay and James Barringer, Sisters Connie(Lynn) Semonin and Sandy(Jeff) Clark, Brother in law John (Priscilla) Sheffield, and sisters in laws Kathleen Sheffield and Rosalind Sheffield. He was proceeded in death by his mother Caroline (Hegidus) Barringer, his wife Ruth, Son Sean Barringer, father in law John Sheffield, mother in law Elenor Sheffield, and brother in law Patrick Sheffield. Dan lived his life for his family. He loved adventure, and cherished every boat ride, social gathering, and family vacation. He loved his sports, and Friday night horseshoes. Ever the artist, Dan’s paintings can be found in the homes of loved ones and in the community. Dan’s larger-than-life laugh and beaming smile lit up every moment and memory. He now rests peacefully in heaven with his beloved wife, if only heaven was only 500 miles away. 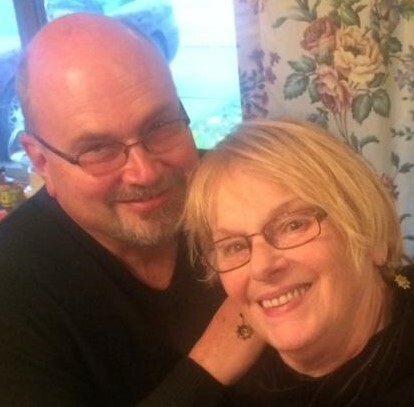 Memorial calling hours for Dan and Ruth will be held from 4-7 Friday March 29, 2019 at Shorts Spicer Crislip Funeral Home Streetsboro Chapel. A graveside service for both will be held at 11:00 am on Saturday, March 30 2019 at Locust Grove Cemetery in Twinsburg with Reverend William Snyder.